The Indian “diaspora” basically refers to Indians who have been dispersed from their country of origin (India) to other parts of the world. Today, Indians can be found in every continent of our earth. Many of the Indians who have migrated out of India have embraced the different cultures that have are a part of their lives. This month, many Indians are celebrating Christmas. While Christmas is not a Hindu celebration, celebrating Christmas is still very much a part of who we are as Indians. Indians are diverse. We are eclectic. We strive to learn about one another and we strive to accept each other. This concept of celebrating multiple cultural and religious traditions is not new for Indians. Like I stated before, India is a very eclectic country. Historically, Indians have been celebrating Christmas, Ramadan, Diwali, etc. for many years now. The religions in India vary by state and all religious beliefs are welcome (e.g., Zorastrians, Sikhs, Hindus, Jains, Christians, Muslims, etc.) Thus, when teaching children about India, it is important to help them understand how all religions have a common thread and that regardless of which religion one follows, we all have a larger purpose in our lives (e.g., love, compassion, service to others). The Indian diaspora varies greatly in terms of economic, social, ethnic, linguistic, and religious make-up. This is important to remember because many times Indians are stereotyped as “good” minorities who are docile, compliant, and submissive in Western society. They are perceived as individuals who easily assimilate to mainstream culture. When Indians cannot articulate why it is we are celebrating mainstream cultural festivals and celebrations—it makes us look like we are fulfilling a particular stereotype. However, when it becomes part of our larger goal in life—to live our life by values that we have been raised with, we are able take part in these celebrations on our own terms and in our own ways. In our family, we are not just teaching my son about Christmas, but we are also teaching him about two other cultural celebrations that occur during December— Kwanzaa and Hanukkah. I want him to be aware of the fact that being an Indian-American doesn’t just mean that you merely celebrate cultural traditions that are “Indian” or “American.” Being Indian-American means that we are open to learning about and celebrating multiple cultures (just like our ancestors back home). The other day, my son went to school and told his teachers that he was celebrating Kwanzaa at home. When his teachers told me the story, I felt as though I had accomplished what I set out to do (for the time-being). 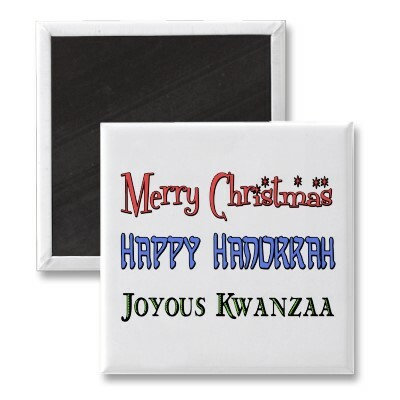 My son had embraced Kwanzaa— just as he had embraced Christmas. I explained to his teachers that I am trying to teach him about all cultural traditions (not just Christmas). This has helped him in understanding why we are celebrating Christmas (even though we are not Christians). It is not just about living in America and assimilating to a culture to “fit in” but about embracing our own values and beliefs as Indians who are part of a diverse world. I believe that my own values stem from being part of a country that is so accepting of different cultural and religious beliefs. When I do read-alouds for my own book: It’s Time for Holi! I always mention to the children that they can also celebrate Holi (even though they are not Indian). I know my son doesn’t always agree with that (because he is only 3 and has trouble sharing in general! ), but I think through these teachable moments he is learning what it means to share his culture with others. He is also learning how to embrace and learn from all the cultures that are (and always will be) a part of our lives. By Amita Roy Shah, Ed.D. What a great way to allow a child to understand the complexities of diversity by involving them in the celebrations of other cultures!